Do you want to eat at atrendsetting restaurant where you can fine dine, be casual and trendy all at the same time? 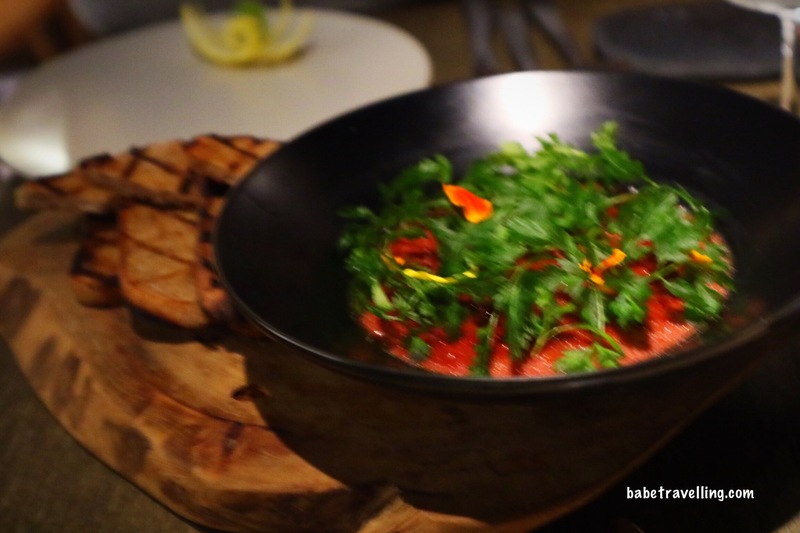 Found in the Da’an district, Mume, has been in the list of the top restaurants in Asia. 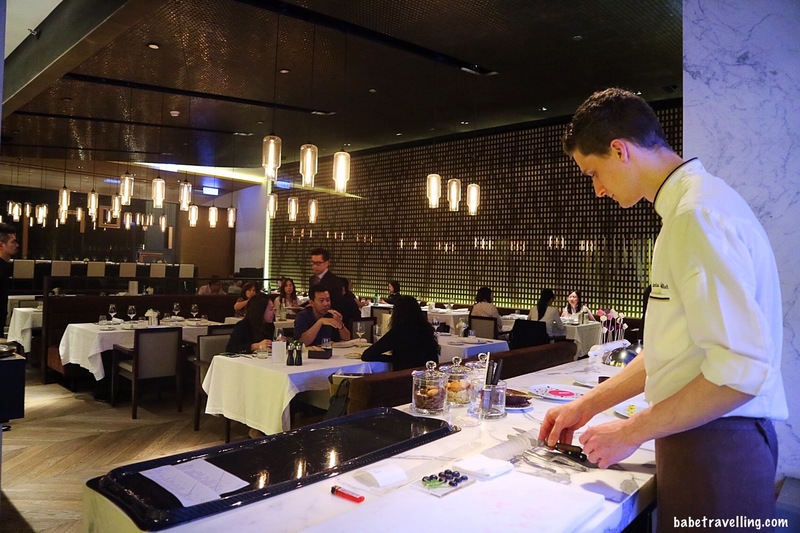 Led by Australian chef, Kai Ward, get ready to see some fusion Taipei-Nordic dish. 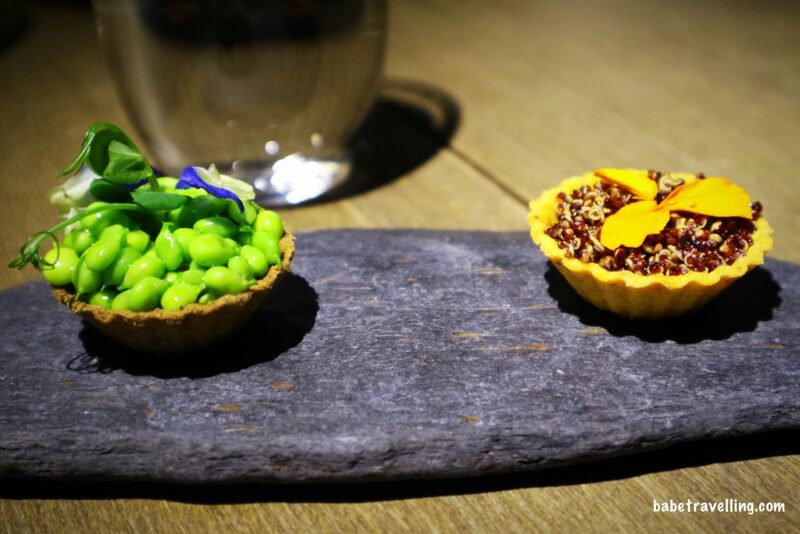 These seasonal tartlets come in 2 pcs. It is best to ask the staff their daily special. I, certainly, enjoyed this must try dish in the snack side of the menu. This soft poached oyster is also fun to look at and eat. 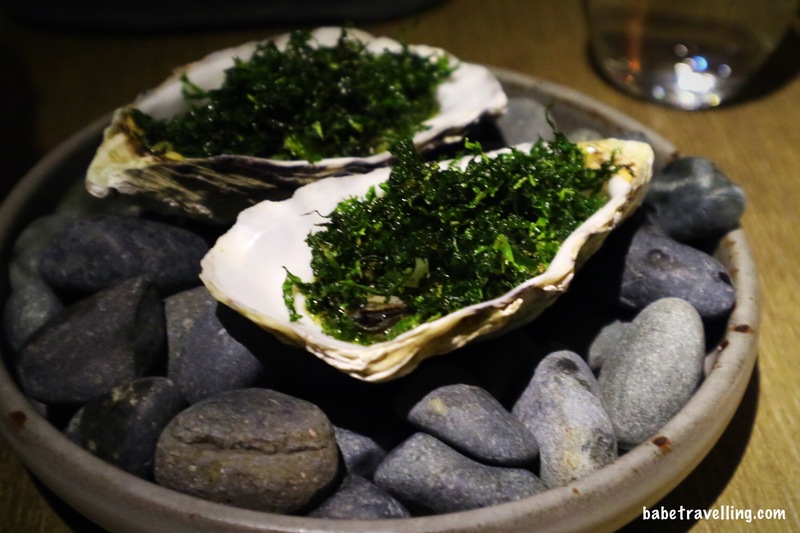 It is a 2 piece fresh oyster with kale, cucumber and seaweed butter. Whoever said that you can only poach eggs? Not only their food come in pretty packages. Just check out my drink. 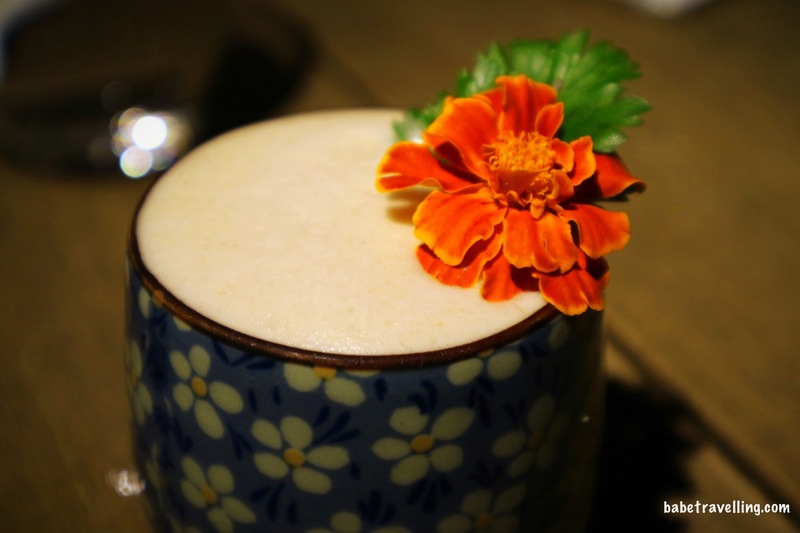 This is soju with a twist of ginger and other cool stuff. The wagyu beef cheek is festive to look at. It is part of their bigger plate menu. 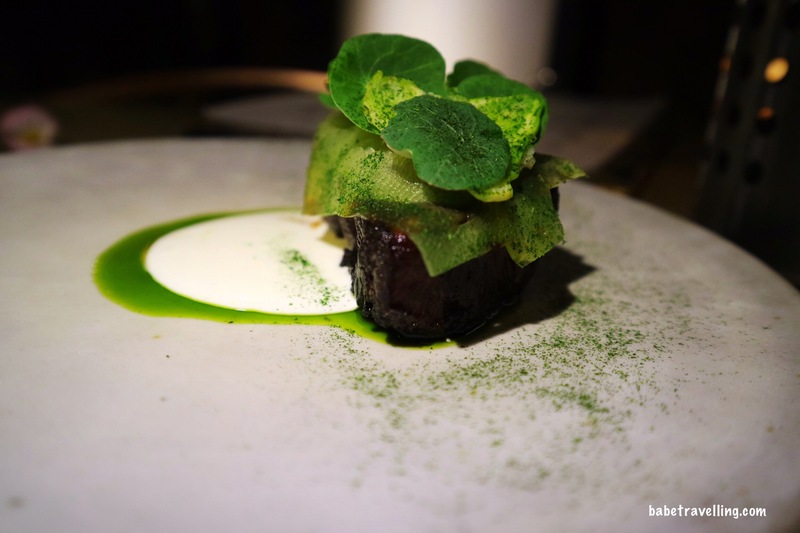 It comes with smoked youghurt, black garlic and brassicas. 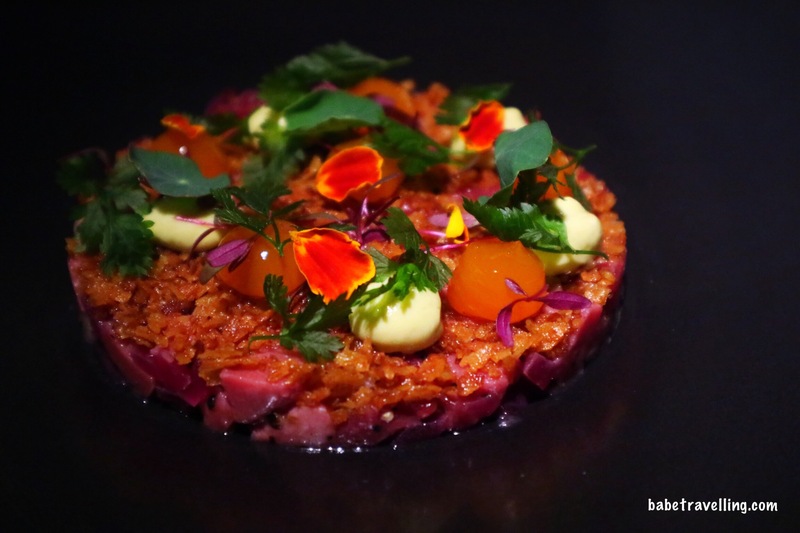 The Wagyu Tartare is also a delicious dish with clam mayo, confit egg yolk, and preserved daikon. It’s hard to find good sourdough. This country sourdough did not disappoint. 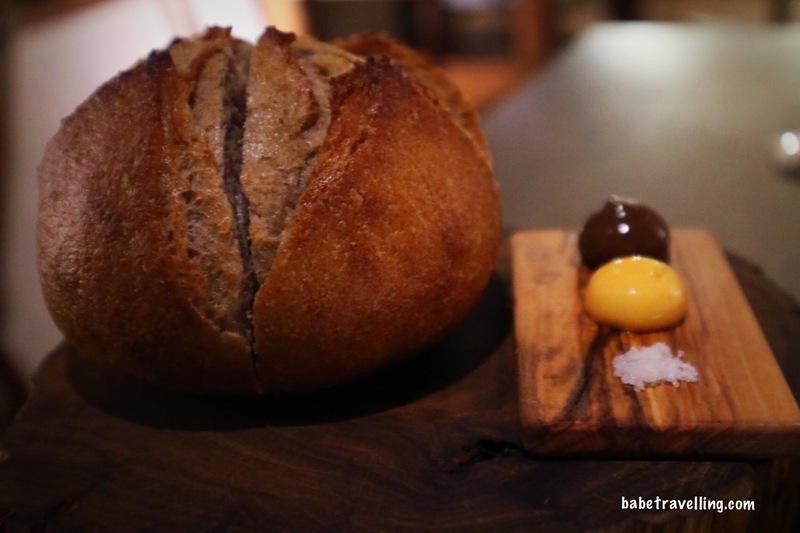 It is freshly baked with beer butter and smoked beef fat butter. This pretty looking scallop is a delightful dish. 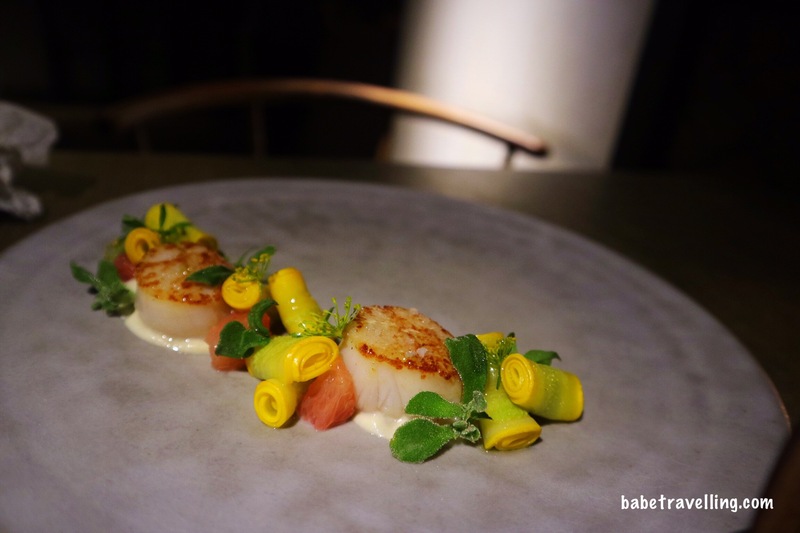 It is served with zucchini, fennel, citrus, lemon verbena and roasted kombu. 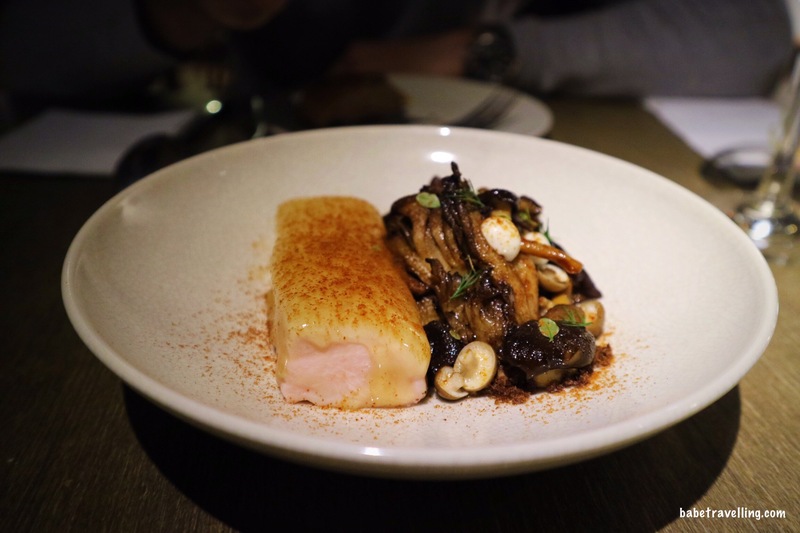 While this slow cooked chicken breast is great for the healthy conscious mixed with Taiwanese mushroom. The crispy Amadai is also a must try dish. It served with parsley and thyme on the plate. 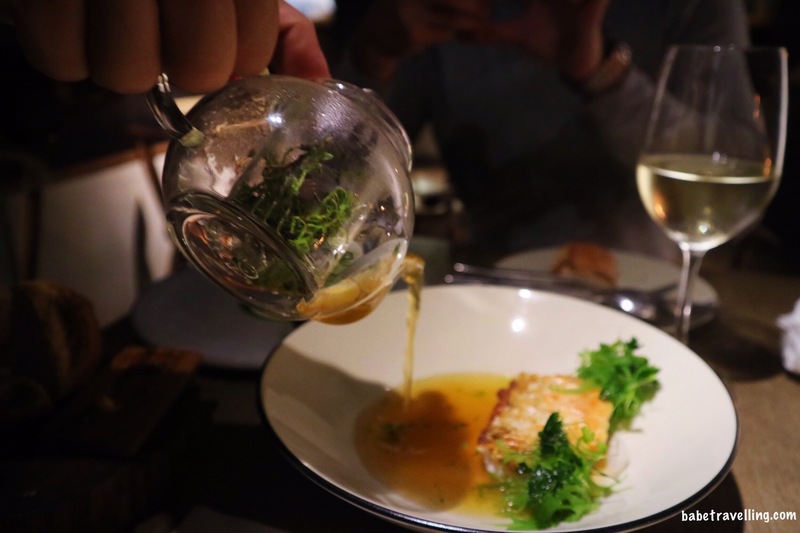 An aromatic broth will be poured on your fish to make it a bit soupy. Amadai is a local fish. This perfectly cooked beef dish will set your dinner to the roof. Just the look of it is purely convincing. 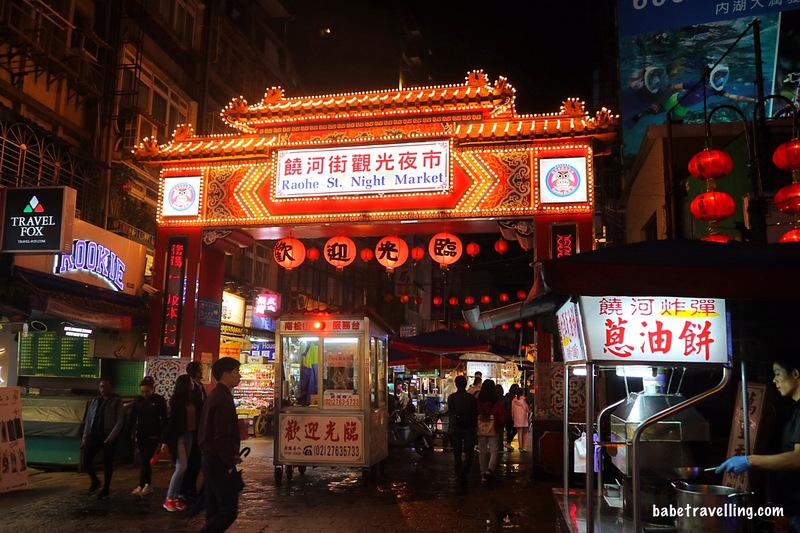 If you’re in Taipei, don’t ever miss this restaurant. It could be hard to navigate but the cab drivers in Taipei are friendly. Reservations are hard to get too because they are always full and it’s not a grand place. It is best to have the complete address when you go here. Mume is located at No. 28, Siwei Road, Da’an District, Taipei City, Taiwan 106. It is only open at night starting at 6pm.